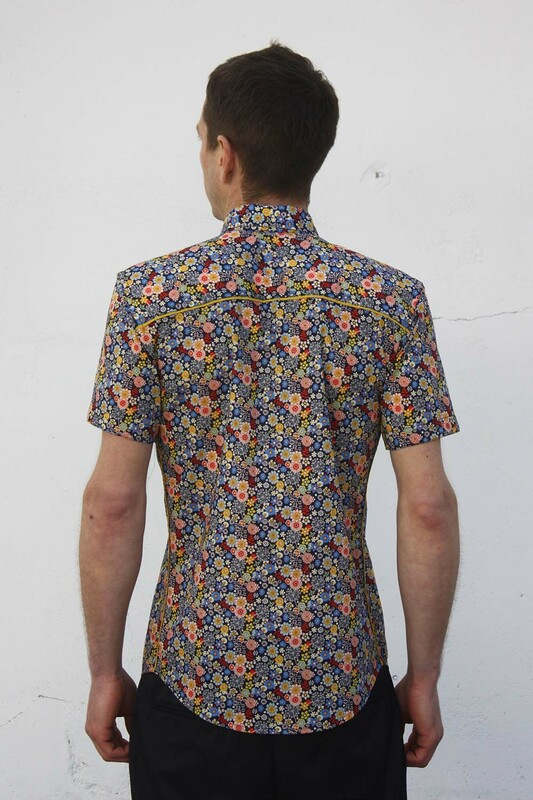 Liberty print shirt, short sleeve, made out of cotton. Colorfull liberty pattern on marine blue background. 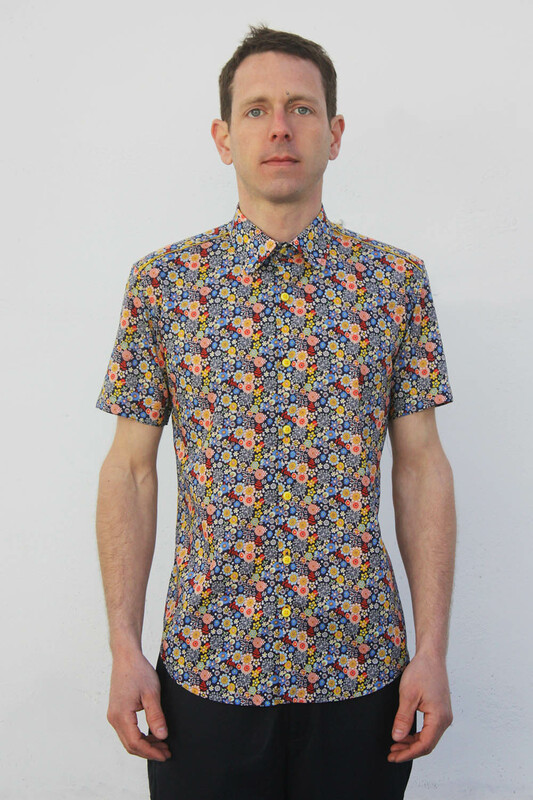 Coordinated print on shoulder lining.